Welcome one and all to Arken Freeth’s home on the Web. Here you’ll learn all about the books in Author Alex Paul’s young adult book series featuring the incomparable main character, Arken Freeth. Book Five is Out Now! I am happy to announce that book 5 of my YA series, The Valley of Death, is now available in Kindle and paperback on Amazon! The book cover gives you an idea of what awaits our heroes in the Valley of Death. This is an exciting read. Writing this novel took me two years, more than a year longer than I had hoped. I am now working on book 6. I think this series is going to be 7 or 8 books long. You’d think I would know! I have the general plot outlined, but these characters now own their world, and I have to tell the story they are telling me, so like you, I am hanging on to this wild ride. Don’t forget to review it! Tookan Attack is a now a semi-finalist! 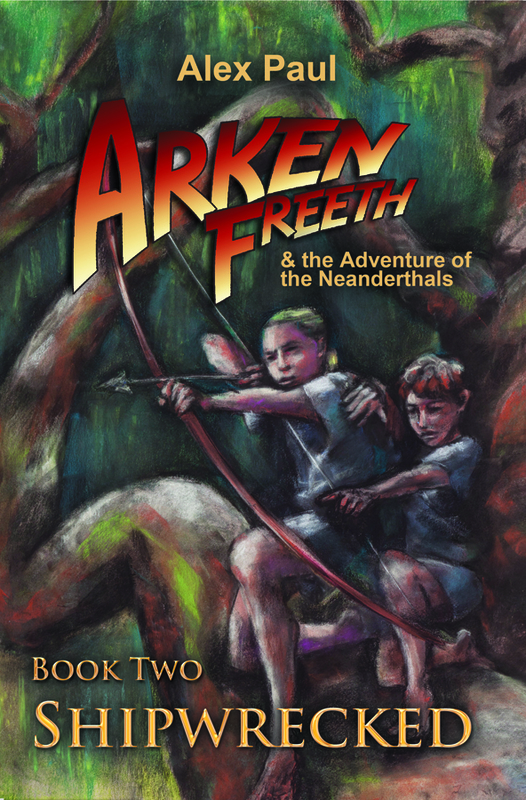 I am happy to announce that Tookan Attack, Book 4 of my Arken Freeth and the Adventure of the Neanderthals, series, is a semi-finalist in the Dante Rossetti Young Adult fiction category of the Chanticleer International Writing Contest! So excited about this honor and fingers crossed hoping to be a winner. 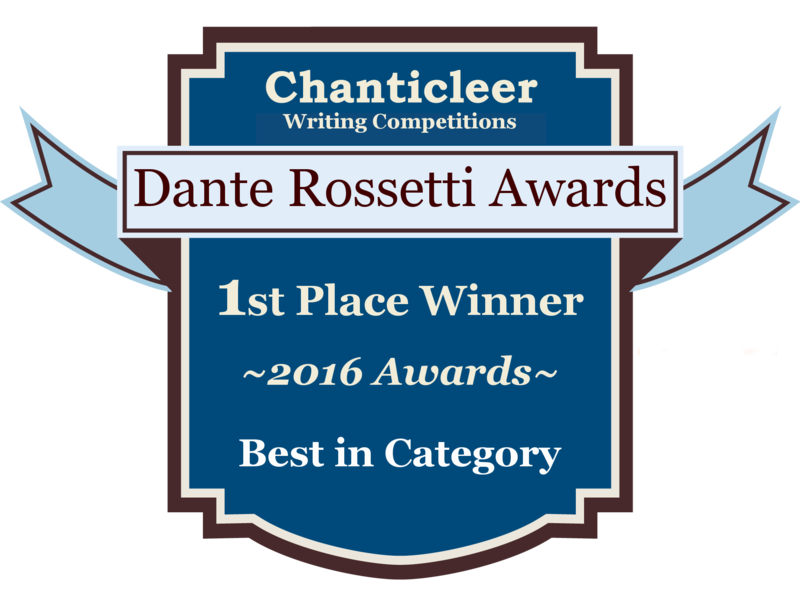 SeaJourney won the 2016 Dante Rossetti First Place Award! SeaJourney, Book 1 in Alex Paul’s Arken Freeth Series, won First-In-SFF-Category in the 2016 Dante Rossetti Awards Young Adult Fiction Contest! 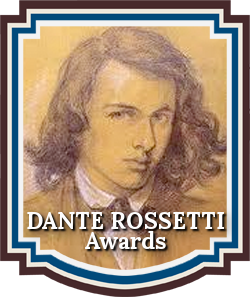 The Dante Rossetti Awards writing competition recognizes emerging new talent and outstanding works in the genre of Young Adult & New Adult Fiction. The Dante Rossetti Awards is a division of the Chanticleer Awards International Writing Competitions. Author Alex Paul delivers a highly imaginative, middle-grade epic fantasy adventure-packed story with everything you could ever ask for to have a rip-roaring good time. 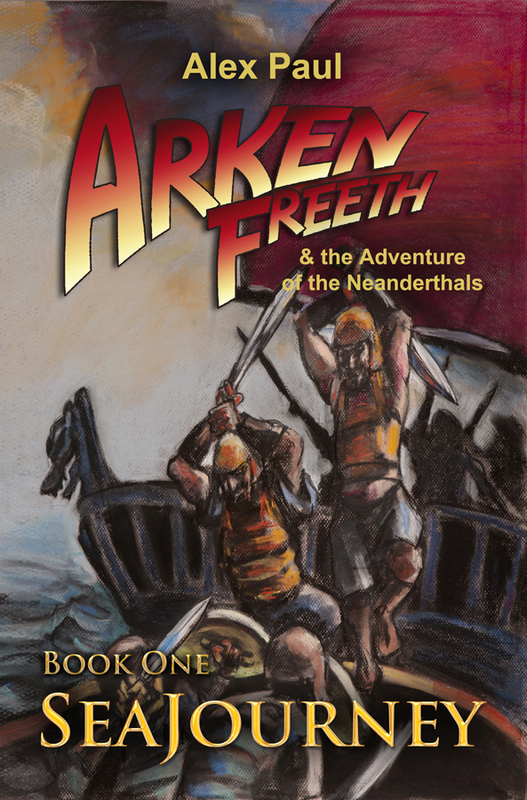 SeaJourney (Book One) opens with an ancient archive stating that the Arken Freeth, lived 11,000 years prior, before the great flood. It follows that Arken’s world is inhabited by saber-toothed tigers and other monstrous beasts—and populated by both humans and Neanderthals. It’s Arken’s fourteenth birthday and he’s looking forward to graduating from school and going on a sea journey with his classmates. All he needs to do is balance a huge rock on a small point. That sounds easy enough, right? Well, he fails. The only way he can redeem himself is to combat Gart, a very large, bully of a boy who happens to hate him. Arken wins the skirmish—and more of Gart’s wrath in the process. However, both boys will board the Sea Nymph with their classmates to serve their country, Lanth. It turns out that the people of Tolaria (allies of the Lanths) are under attack. Yolanta, King of Tookan, is even now traveling with pirates to hunt down Tolarian Princess Sharmane and steal her magic necklace. The Sea Nymph is readying for war. Arken meets a girl named Talya, a freckle-faced scout-in-training, who warns Arken that Gart plans to kill him. And when word reaches the Sea Nymph that Princess Sharmane’s vessel has been attacked, Arken, who has proved his worth leads the charge against the enemy ship. Somewhere in the middle of all that is happening aboard the Sea Nymph, there’s a Neanderthal who is gearing up to join in the fun. 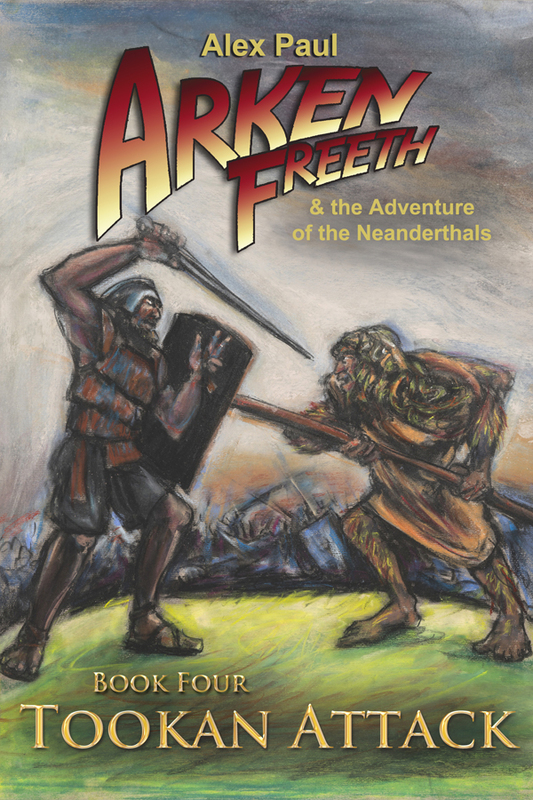 With three other Arken Freeth volumes in production, SeaJourney introduces readers to a worthy hero and reveals some of his secrets and hidden powers. The book is well suited for tweens who identify with the underdog who overcomes hardships and ultimately triumphs. Too, our heroine is not based on her looks so much as her energetic attitude. With fast-escalating action on every page, a likable, capable hero, plenty of mystery and an abrupt ending, readers will be lining up for more. 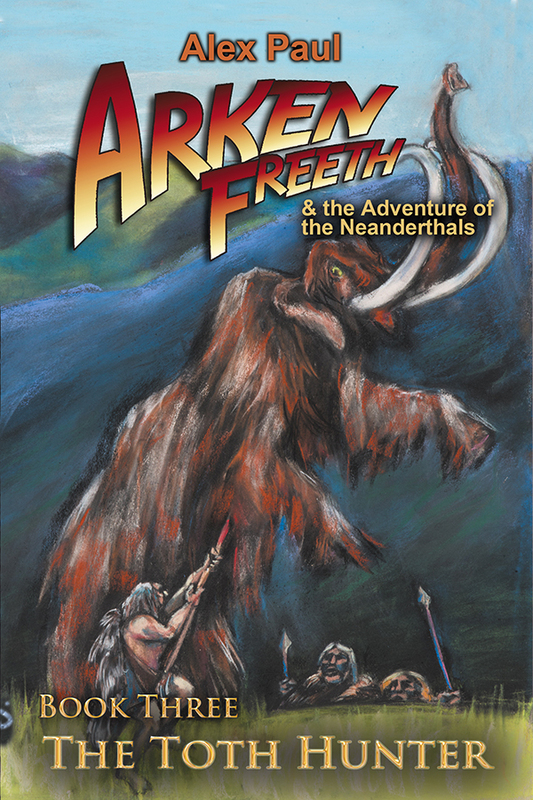 Arken Freeth and the Adventure of the Neanderthals, SeaJourney #1 is sure to please those who crave fantastical adventures with pirates, underdogs, prehistoric beasts, and Neanderthals! 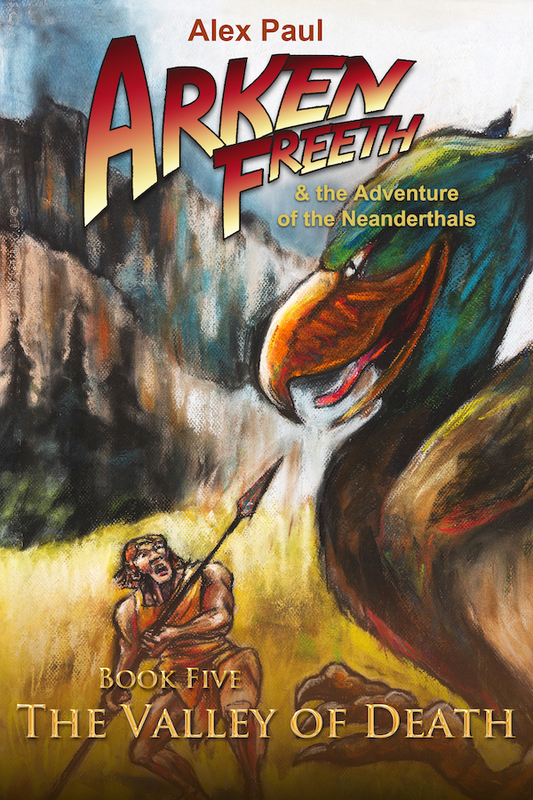 Part Neanderthal, but raised as a human, Arken Freeth finds that he doesn’t fit in either world as he struggles to survive. Yet the very Neanderthal heritage that makes Arken an outsider gives him extraordinary strength and fighting skills. In order to survive and become the warrior he knows he can be, Arken must brave the dangers that lurk beneath the depths of the Circle Sea, the old Atlantic, as well as the Tookan pirates who roam its surface. Arken Freeth is swept up in the conflict when his Lantish Military Academy training ship is attacked by pirates and runs ashore. He and six classmates are the only survivors of the shipwreck and they struggle to live in a jungle filled with saber-tooth cats, dire wolves, mammoths, and mastodons. The Tookan Invasion involves Yolanta’s desperate attempt to recover the Necklace of Tol. Arken and his friends must rescue the Nander Ord and warn of an impending attack from the King of the Amarrats before it’s too late. 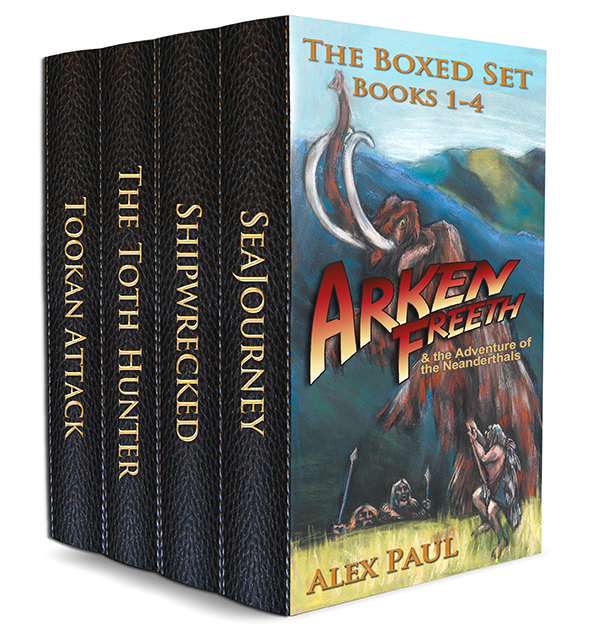 Get the 4-Book Boxed Set of Arken Freeth! Includes SeaJourney, Shipwrecked, The Toth Hunter, and Tookan Attack. Princess Sharmane marries Prince Dahl to unite the Kingdoms of Tolaria and Lanth but events turn against the best of intentions. The Amarrat Invasion involves the Amarrats’ land invasion of Lanth. In the Sea of the Never Setting Sun, despite tragedy and hardship, Arken finally attempts to find the mythical sea at the far North of the world where the sun never sets.